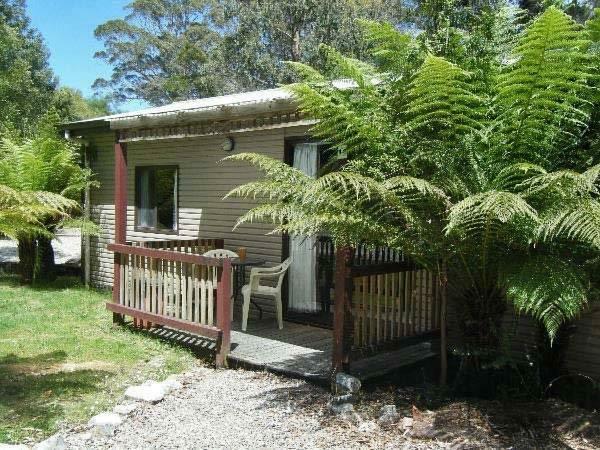 يقع Strahan Holiday Retreat في قلب Strahan على بعد دقيقتين سيرا على الأقدام من شاطئ السباحة West Strahan وملعب المغامرة ويقدم مجموعة من أماكن الإقامة عالية الجودة بالإضافة إلى متجر ومقهى في الموقع. وتتوفر خدمة الواي فاي. يمكن للضيوف المقيمين في Stahan Holiday Retreat الاستمتاع بفنجان من القهوة في مقهى Molly's الذي يقع في الموقع ويفتح كل يوم. كما يوفر المقهى عناصر سوبر ماركت. يتوفر لراحة الضيوف متجر للزجاجات يقع بجوار مكتب الاستقبال، كما تتوفر مجموعة متنوعة من البارات والمطاعم المحلية على بُعد 5 دقائق سيرًا على الأقدام. تقع جميع الكبائن والاستوديوهات والشقق والمنازل الريفية على مساحة 11 فدانًا من الأدغال المختلطة والمساحات المفتوحة، وتحتوي على تلفزيونات ومراوح وتدفئة ومناطق لتناول الطعام ومطابخ، وتوفر الوصول إلى مرافق غسيل الملابس. في الغسق، يتميز Wild Platypus بتيار طبيعي يمر عبر مكان الإقامة الذي تبلغ مساحته 8 أفدنة. وتتوفر خدمة تأجير الدراجات وقوارب الكاياك. Park looked clean and tidy, but we were in a back corner which was a little untidy. I am not a clean freak but this cabin appeared to be uncleaned from previous occupants. It had a smell of cigarettes, had someone's jumper left on couch which stunk of cigarettes. crumbs and stains on kitchen chairs. Bathroom appeared to have been wiped over and bed sheets were clean. The oven did not work at all neither did the cook top. This was frustrating as wanted to cook in oven. The outside deck had not been cleaned and had a pot full of cigarette buts. We also travelled with another couple and their cabin had been cleaned although the oven did not work and the deck also had not been clean leaving cigarette buts and ash all over deck. 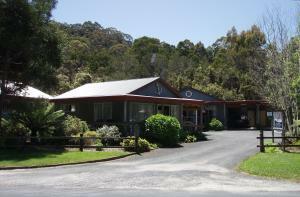 This was the most expensive place we stayed while in Tassie so our expectations were quite high. I think at this price the place could do with some updates as very outdated. I would recommend that owners check the cleaners are doing what they paid for. We stayed here one night in a standard park cabin with 2 rooms. The staff were friendly and knowledgeable and our room was very pleasant. Lots of room and even though we were right next to the road it was relatively quiet. It was centrally located and there was a small store right next to the retreat. The added bonus was we were able to spend a bit of time exploring a little stream that flowed through the property to try and find a platypus family. Unfortunately, we didn't see any but you may be lucky! We loved the location and our little apartment. The staff was very friendly and adequate. The only minus was the wifi, which was not really working properly. We loved this Cabin! It was a nice location to visit Strahan and very restful. The walk along the river was truly excellent and the nearby beaches and playareas very nice! Great little spot. Very busy little shop/liquor store/reception. Molly's is good value for money when eating. Good family vibe. All good. Wi-fi was very slow at the cabin. Vodafone was not reached to the area. This place is so nice and you can drive to the esplanade for less than 10 mins to enjoy seaview. The environment of cabin is neat and tidy , had a wonderful night. Stay four of us in a 2 bedroom cottage. All was really nice we enjoyed the place and the great location, very convenient and easy. As solo travelervthe accomodation was too big but it was the last one. I enjoied the stay, the bed was very comfortable and everything was good. 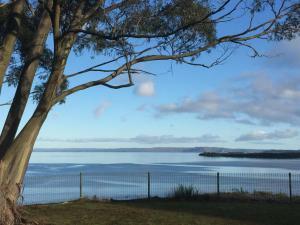 Will definitely recommend to friends and will be back if to go back to Tasmania again. Value, had everything you needed, shop/cafe and bottle shop at front. Fine except I believed there was going to be a verandah and was very disappointed that there was not. Did not stay in the Strahan holiday retreat. Been transfer to another caravan park without any notice. 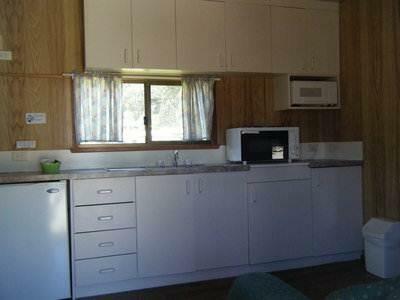 Our cabin was basic, however appropriate for the amount of time spent in it each day. Would not call it a 'retreat' as such.